During Girl Scout cookie season, these can help stave off the cravings! They can be whipped up in an afternoon, and pulled from the freezer whenever you need a sweet treat. These bites are great for holiday dinners or family snacks. There is a lot of prep time involved in these, so I would set aside a couple hours for prep and execution. This may be a fun activity with some friends or older kids. 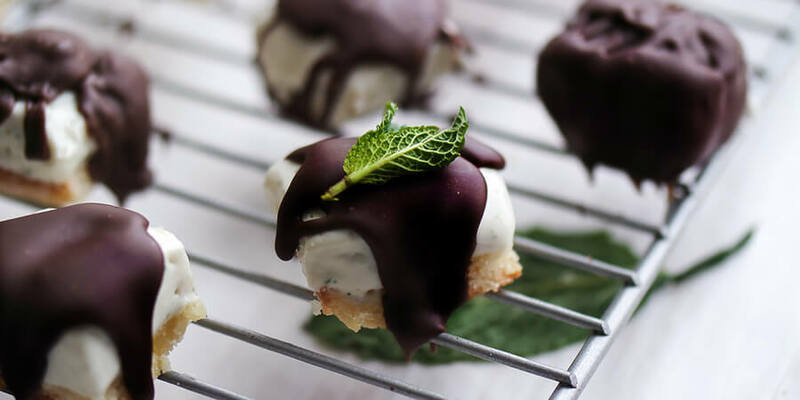 Most minty desserts get that burst of fresh flavor from using extract, but I love adding in real mint leaves any chance I get. 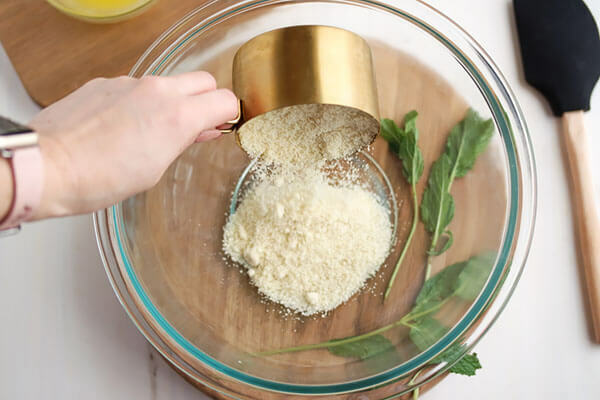 It can be hard to disperse the mint into a recipe like cheesecake which is why I use a stick blender (also known as an immersion blender) or food processor to infuse the mint into the heavy cream, which is then easily folded into the cheesecake base. The second layer of minty flavor comes from traditional mint extract added into the dark chocolate coating. 1. Pre-heat oven to 350 degrees. 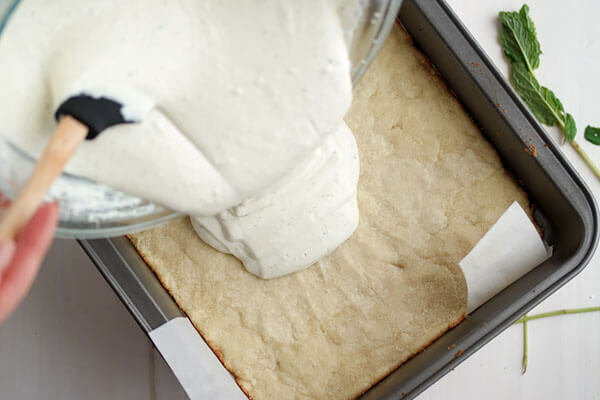 Line a square baking pan with parchment paper. In a large bowl, mix the almond flour and a half cup of powdered erythritol. 2. Pour melted butter into the bowl. Mix ingredients together until dough forms. 3. 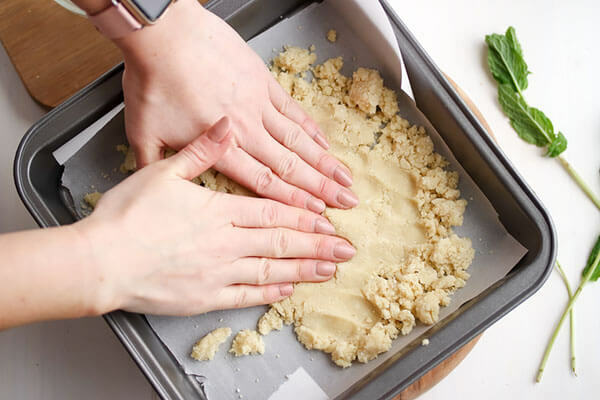 Press the dough into the baking pan. Bake dough for 8 minutes, or light brown. Remove pan from oven and set aside to cool as the crust. 4. Using a high-speed mixer, create the filling by beating the cream cheese and remaining two cups erythritol until smooth. Set aside the cream cheese filling. 5. 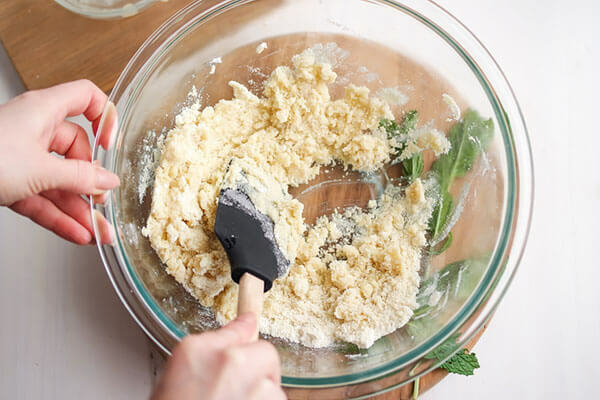 Place the mint leaves and heavy cream in a food processor and blend until smooth. Add the mint cream mixture to the cream cheese filling and fold in. 6. Scoop the mint and cream cheese filling into the prepared crust. Place the pan in the freezer for 3 hours or until firm. 7. Remove the cheesecake from the pan, and slice into 64 squares. Place the cheesecake back into the freezer. 8. 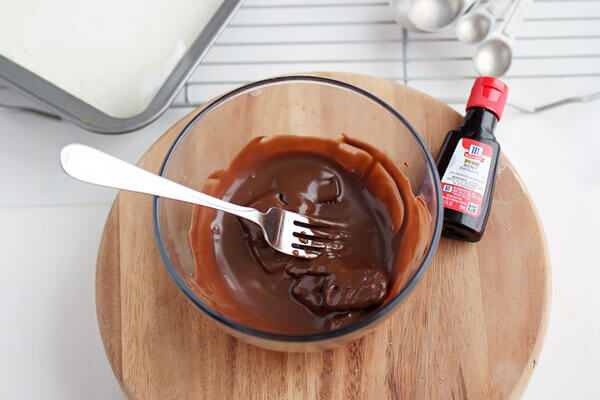 In the microwave, heat chocolate in 40-second intervals, stirring frequently until thin. Add mint extract to the melted chocolate. 9. 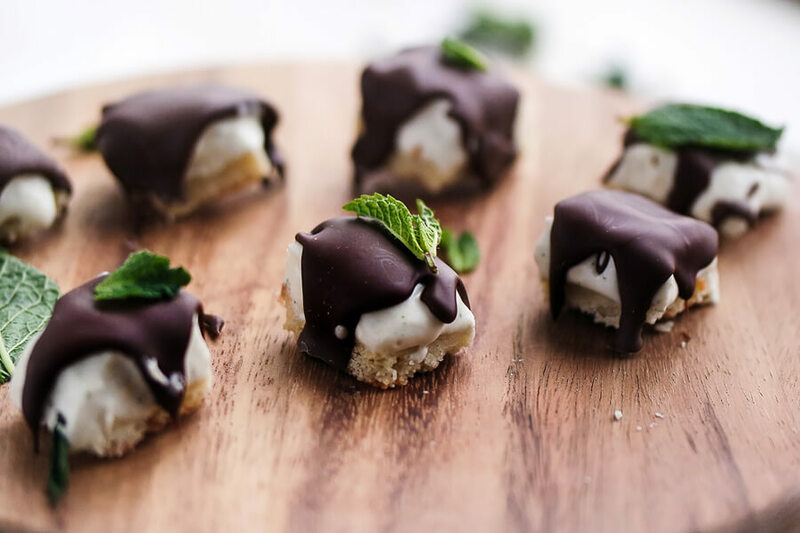 Dip or drizzle each cheesecake square in the mint chocolate and allow to cool. This makes a total of 64 servings of Keto Grasshopper Cheesecake Bites. Each serving comes out to be 121.94 Calories, 11.85g Fat, 1.92g Net Carbs, and 2.32g Protein. This makes a total of 64 servings of Keto No Bake Grasshopper Cheesecake Bites. Each serving comes out to be 121.94 Calories, 11.85g Fat, 1.92g Net Carbs, and 2.32g Protein. Line a square baking pan with parchment paper. In a large bowl, mix the almond flour and a half cup of powdered erythritol. Pour melted butter into the bowl. Mix ingredients together until dough forms. Press the dough into the baking pan. Bake dough for 8 minutes, or light brown. Remove pan from oven and set aside to cool as the crust. 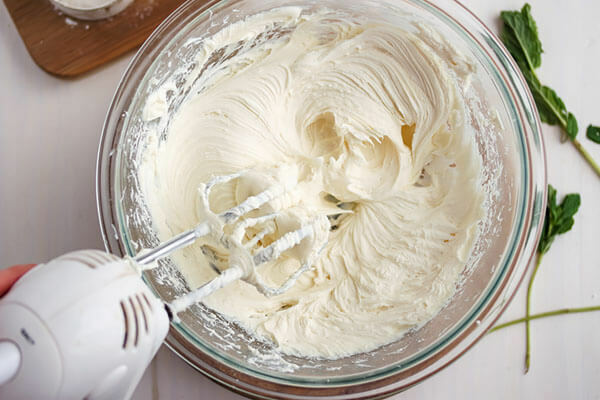 Using a high-speed mixer, create the filling by beating the cream cheese and remaining two cups erythritol until smooth. Set aside the cream cheese filling. 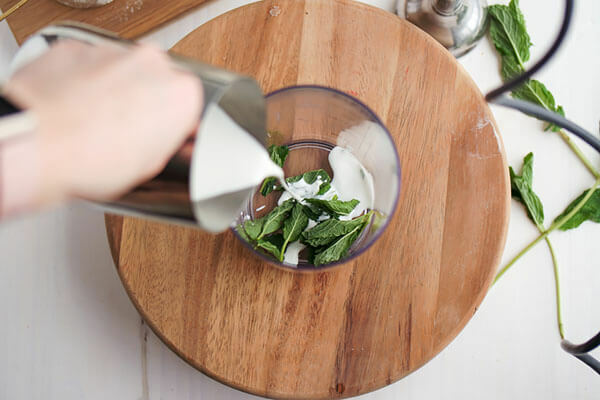 Place the mint leaves and heavy cream in a food processor and blend until smooth. Add the mint cream mixture to the cream cheese filling and fold in. Scoop the mint and cream cheese filling into the prepared crust. Place the pan in the freezer for 3 hours or until firm. 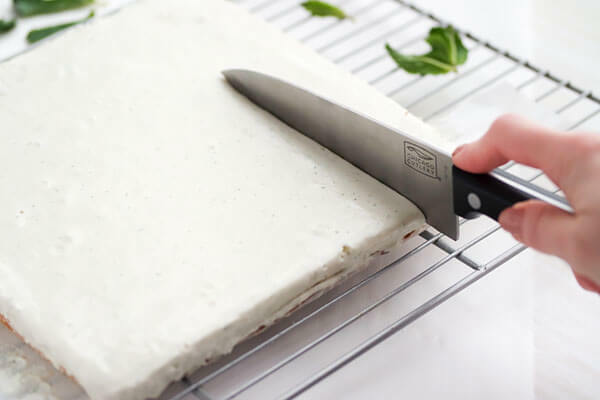 Remove the cheesecake from the pan, and slice into 64 squares. Place the cheesecake back into the freezer. In the microwave, heat chocolate in 40-second intervals, stirring frequently until thin. Add mint extract to the melted chocolate. 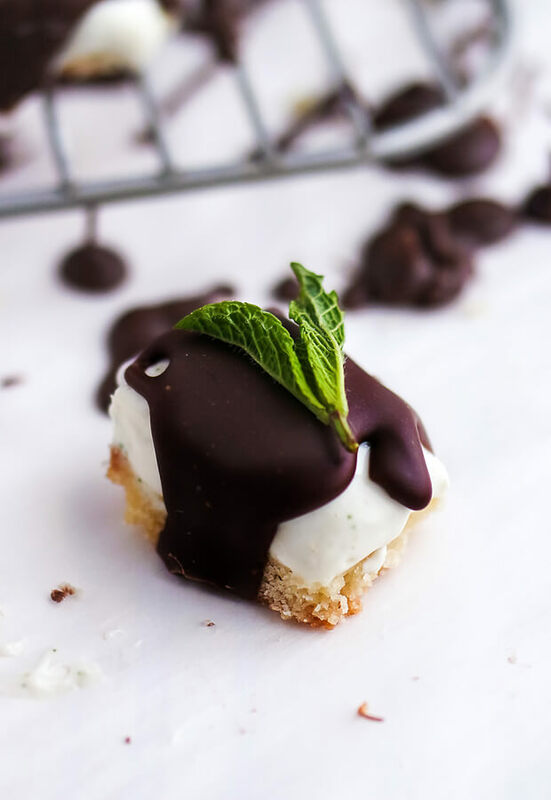 Dip or drizzle each cheesecake square in the mint chocolate and allow to cool.